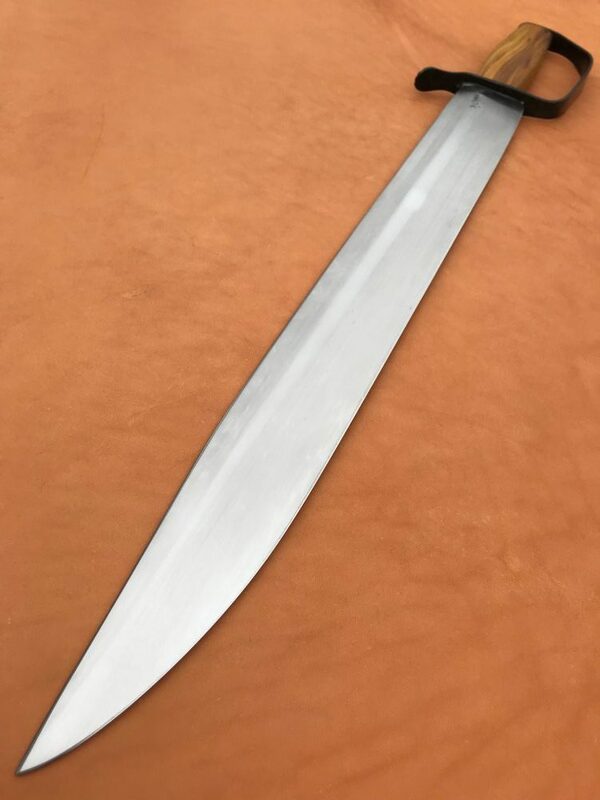 Discussion in 'Sword Discussion' started by Jason Fry, Feb 18, 2018. Here's a project I've been working on off and on for several weeks. It started as a leaf spring from a wrecked Dodge truck. 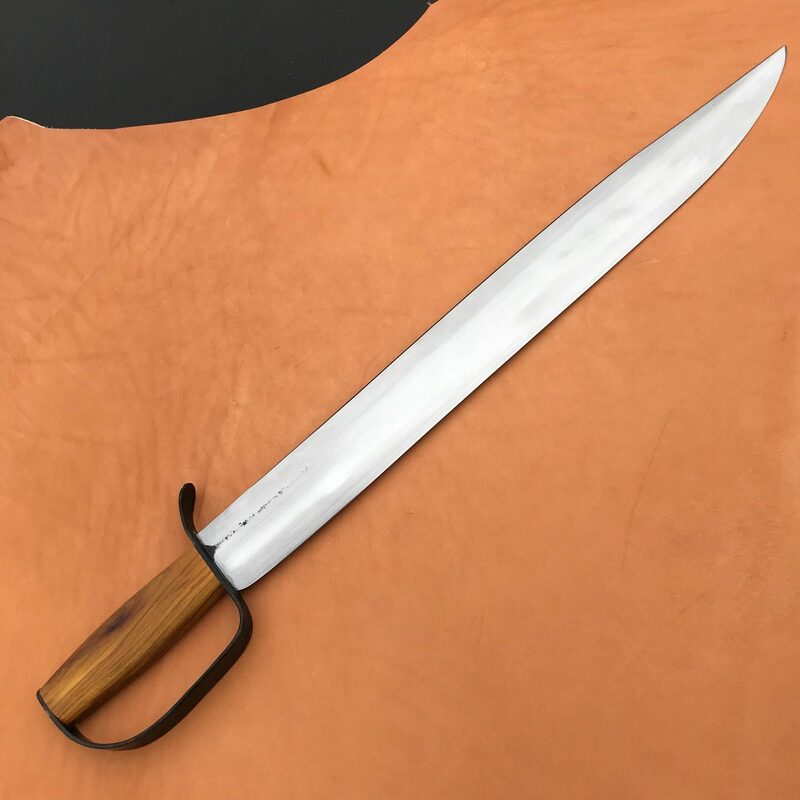 It is styled after a Confederate artillery short sword, which is very similar to a cutlass or a giant D-guard Bowie. 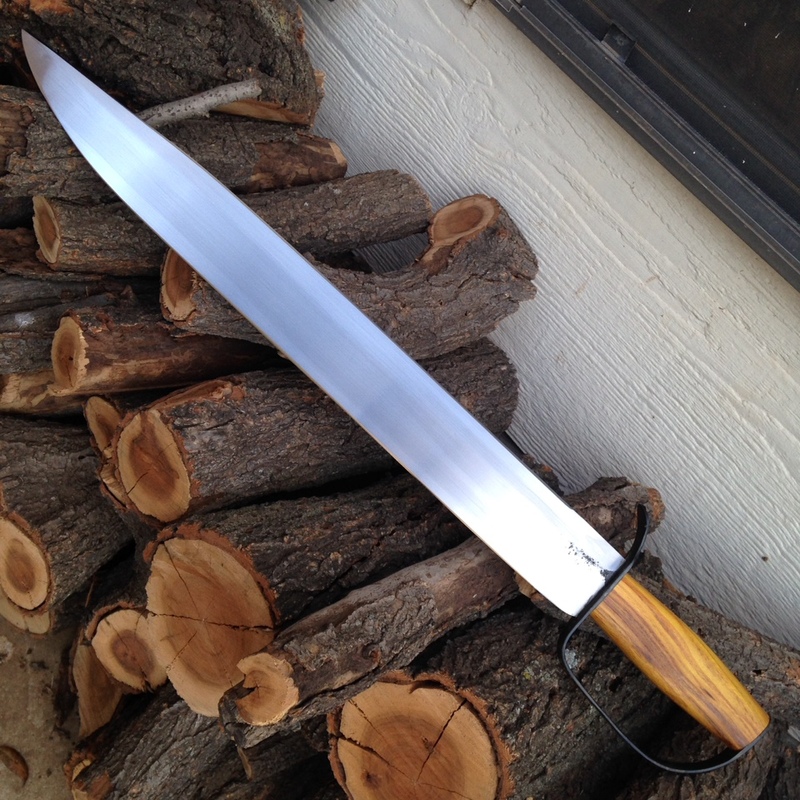 Overall length is 25" with a 20" blade, and sanded to 400. Weight is 2 pounds 2.6 oz. 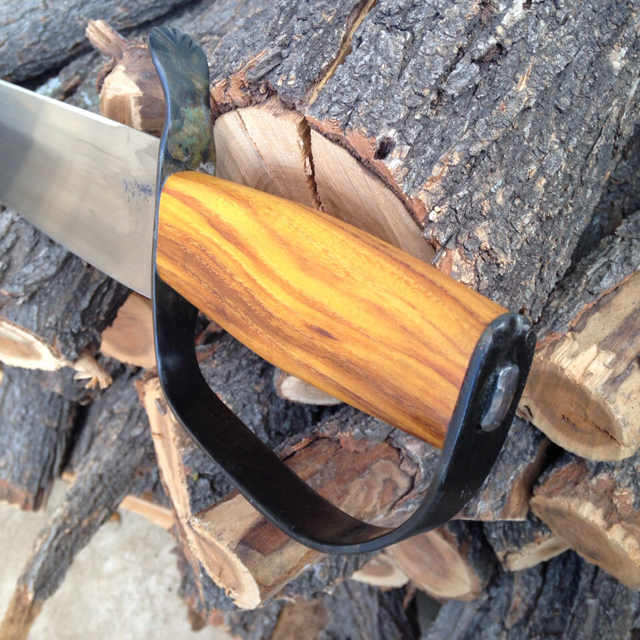 D guard is blued mild steel, and the handle is osage. These weapons were seldom very embellished, so I followed the suit. 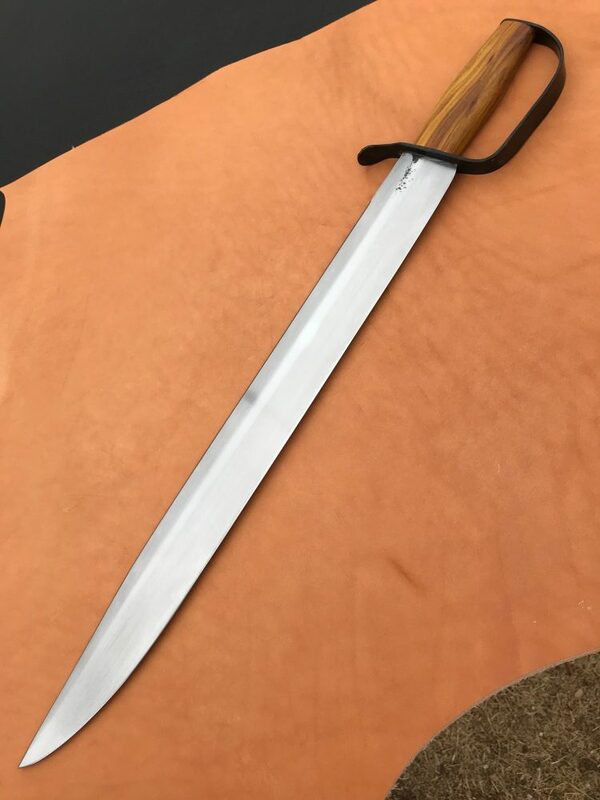 I'll have this one on my table at a show in Abilene this coming weekend, and likely at the Lone Star Knife Expo April 24/25 at Market Hall in Dallas. evltcat, hexenjager, mb> and 2 others like this. That is a cool sword. 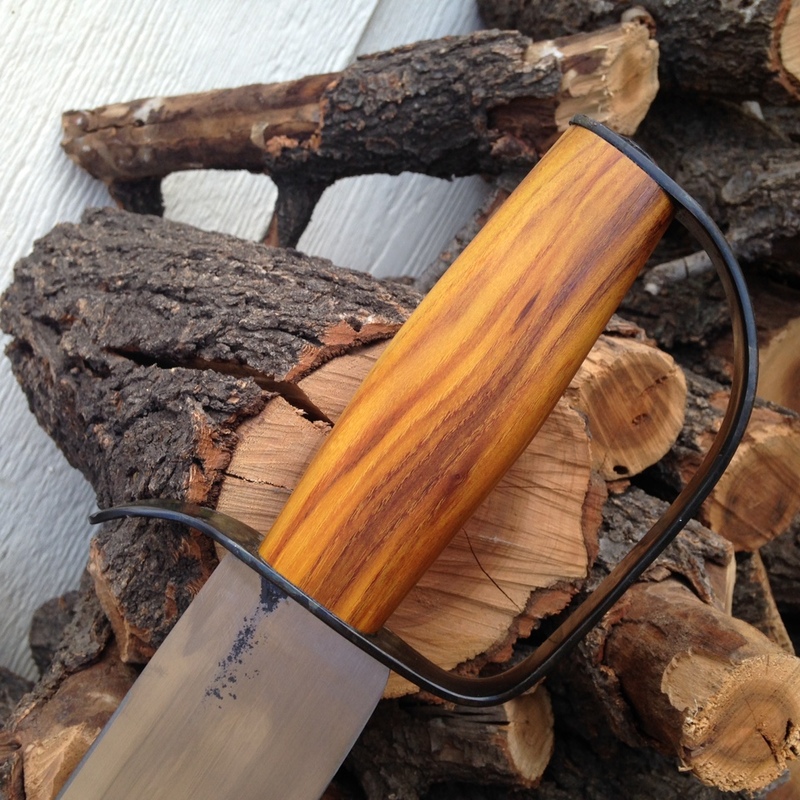 A pair of pistols, a double shotgun, and this blade is your ticket to ride with Cuantrill or Merrill. 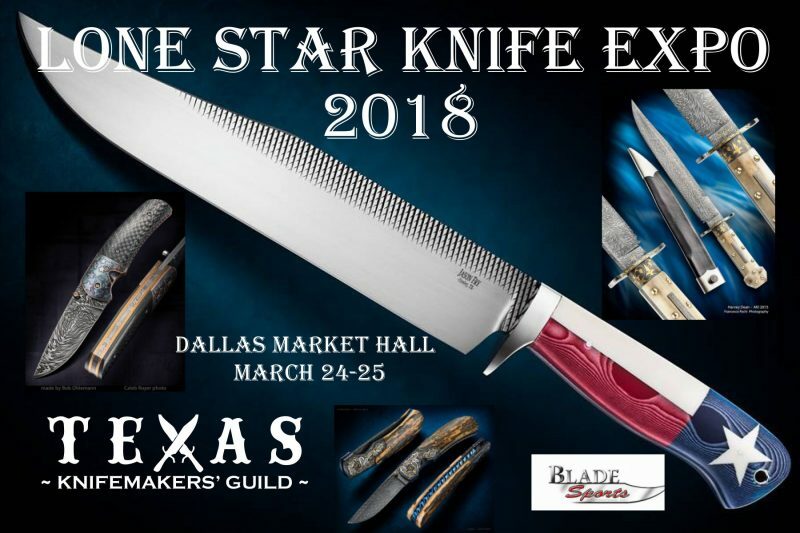 This will be available at the Lone Star Knife Expo. 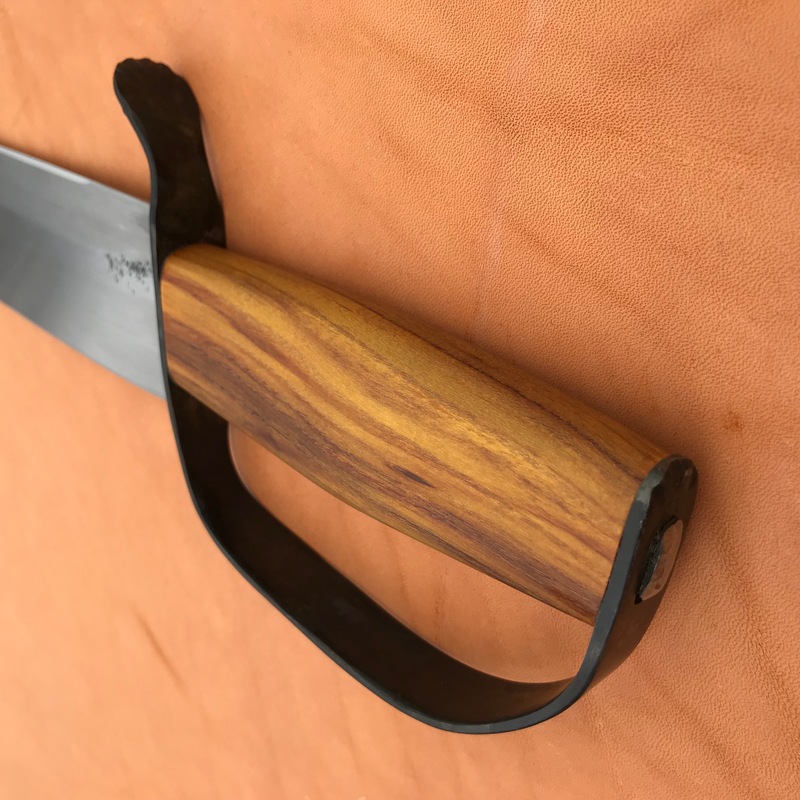 Took a few better pics, and put it in the knifemakers' knives for sale forum. 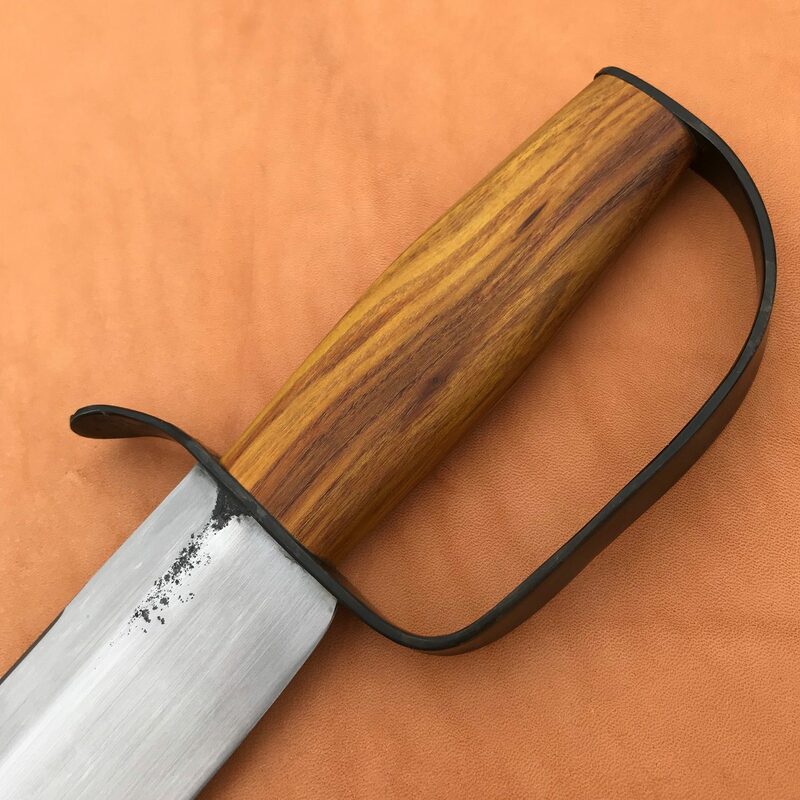 Here's an original knife in this pattern.